…OK, what does that mean exactly? It means that when you call our company, you are speaking directly with the owner. It means that the person you talk to on the telephone is the same person that is going to come to your home and discuss your needs with you. It means that the person who comes out and meets you, looks at your home, and discusses the details, is also the person who is going to actually do the work! …We are all consumers, and we all expect to get the best value for our hard-earned dollars. How many times have you heard from friends, family, neighbors, even yourself, that the salesman came out, told us one thing, and then when the “workers” came out and did not do what you expected? Or the work was subpar and didn’t meet your expectations? Unfortunately, this happens every day here in SW Florida. But it never happens at Conroy Property Services. Why? Because as the owners, we are there on the job every day, and we actually do the work! We have been in Naples since 1986! We are one of the few companies in the area who is actually State certified, Licensed and insured, and County certified, licensed and insured for every service we offer! Compare that to most of the companies out there who offer the services we do. Most have handyman licenses, pressure cleaning permits, let alone be a State certified Roofing contractor. 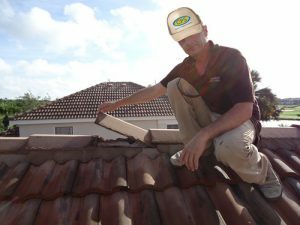 Most of the cleaning companies in the area are NOT licensed for local Roof cleaning and have no business even being on your Roof or servicing your home. Every single one of our servicemen has been with our company for at least 10 years! They are experts and professionals in what they do. You expect the best work to be done at your home, and at Conroy Property Services, that is exactly what you get. Guaranteed! And we never ask for or require a deposit for work to be performed (**unless it is commercial) at any time. When you are completely satisfied with the work that we have done, that is when you pay, not before. …A Red flag should go up whenever someone requires a deposit before they will start your work. If they are an established company who has been in the area for years and do great work, why would they ask for money up front? Think about that. 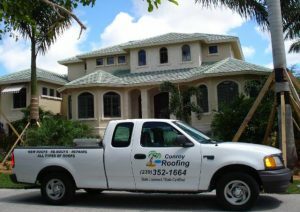 Call us today (239) 249-5290 for your FREE, no obligation estimate and consultation for whatever services your home may need. We promise you won’t be disappointed. At Conroy Property Services, we love to hear from our clients, old and new. We cannot wait to hear from you. We have made it our mission to be a company that you can trust with high customer service standards. Call us Monday through Friday, from 7am to 7pm Eastern Time (239) 249-5290.